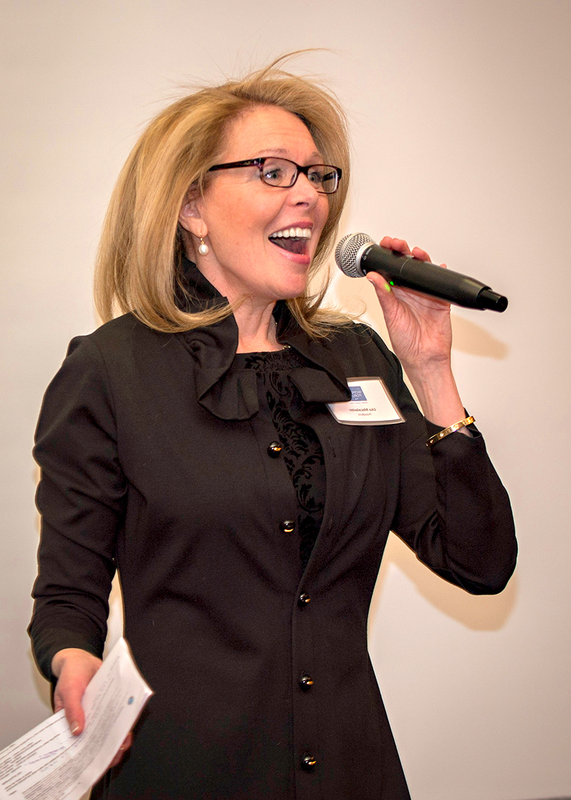 Good evening I’m Lisa Macalaster, your neighbor on Pinckney Street and I’d like to thank you all for joining us tonight for this exciting Spring Launch of the Beacon Hill Women’s Forum…. where our mission is simple: to Connect, Inspire & Celebrate each other’s company. Tonight we are endeavoring to do something “new” in a neighborhood that prides itself on that which is “old & historic.” With the 126th Hidden Gardens of Beacon Hill tour scheduled in a few weeks, I’d like to use “the garden” as an analogy to explain. If Beacon Hill were a garden…it has it all! Well-pruned foundation plantings, hardy perennials, textured ground cover and all of that is nicely interspersed with colorful annuals. It’s perfection! Be that as it may, even the loveliest of gardens can use fresh inspiration now and then. There comes a time when any passionate gardener yearns for a new exotic varietal to help make their cherished peace of earth pop with fresh interest.…right? That is what we are doing by creating the BHWF! Currently there is no single organization on Beacon Hill that brings neighborhood women of all ages together on a regular basis with the simple goal to connect, inspire and enjoy each other’s company. The Beacon Hill Women’s Forum is that new varietal in this grand old garden! Tonight, this room is filled with the fertile soil, as it were, of bright, creative women, and in just the past hour the seed of possibility has been planted. You can feel it! The energy here is palpable. And, as any good gardener knows, if you put a healthy seed in fertile soil and add water and sunshine…. something beautiful will grow! How exciting is that?! But why just women? Well, when I graduated from Wellesley College in 1983, the president at the time, Nan Keohane, said to us “You can have it all but you never have it all at the same time.” Indeed! There is a complexity to navigating the chapters of a woman’s life because her priorities are constantly changing. It’s a challenge to remain intellectually inspired and spiritually grounded while keeping up with the minutia of day-to-day life. We need each other’s support and inspired encouragement to do this well. So this one’s for the girls! The structure of our Beacon Hill Women’s Forum meetings is uncomplicated. We’ve set up a predictable gathering here at the Hampshire House each month, September –May beginning next Fall. Each meeting will include a time to connect with each other, a time to be inspired by a dynamic speaker and a time to simply enjoy the company of other women. It’s my hope that, from this simple structure, women will meet each other and migrate together in the direction they need most at the moment. Debate groups may form to discuss issues, young mothers may form support groups, professional mentoring relationships may form across the generations or perhaps some of the ladies will simply stroll over to 75 Chestnut afterwards and delight in their newfound friendships over a glass of wine. It’s all possible and its all positive! So thank you for throwing yourself into the mix tonight….into something “new” on Beacon Hill! And since each season brings its own beauty, I hope you will stick around over the months and years to come and watch how stunning this garden is destined to become. 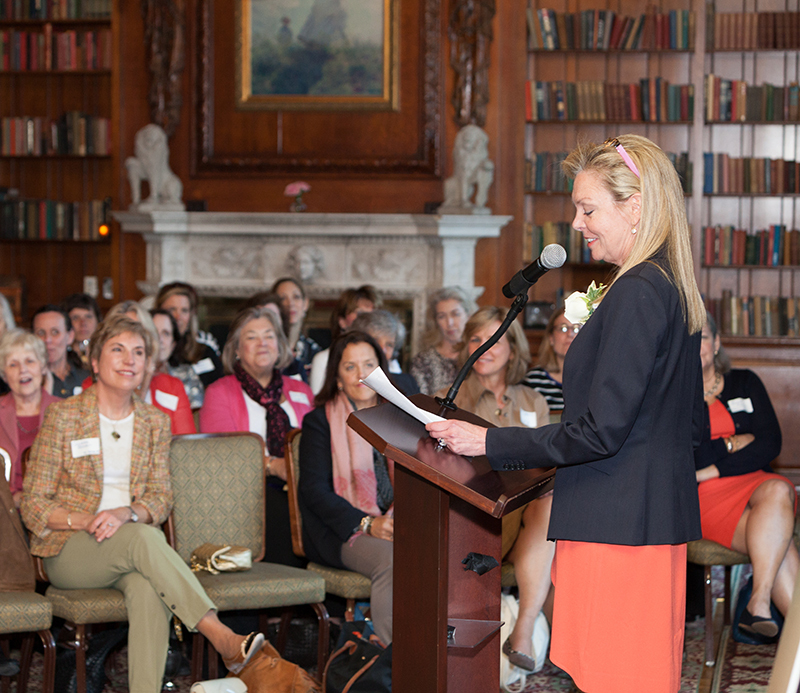 Here’s to the birth of the Beacon Hill Women’s Forum and your part in it. Cheers!